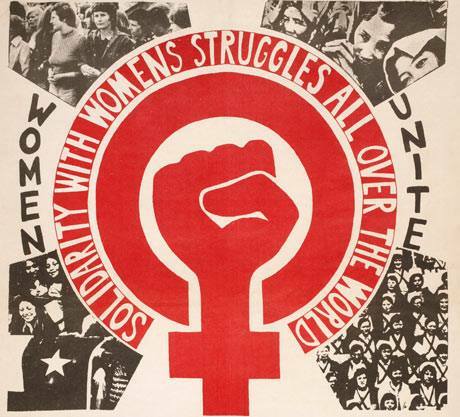 Students for a Democratic Society celebrates International Women’s Day – March 8! Less than a week ago SDS chapters all over the country organized or co-hosted events celebrating women all over the world in their struggles, past and future. The celebration of International Women’s Day finds its origins in the 1908 strike of the International Ladies' Garment Workers' Union. In 1910 the International Women’s Conference would establish International Working Women’s Day and the following year over one million women and workers all over Europe would host a wide variety of events calling for equal rights and for an end to sexual discrimination. International Women’s Day has been celebrated every year since – worldwide. Just as the women garment workers had reason to strike, and the women and workers of Europe to celebrate, so today SDS finds continued reason to fight back against the oppression of non-binary people and women. In the United State’s alone, such issues are stifling. As of 2016, Trans women and non-binary people are being attacked through 44 pieces of legislation in 16 states. Women and non-binary people are experiencing higher rates of sexual assault than ever before and the fight for reproductive rights continues. Women workers are the primary targets of anti-Union legislation in the public sector. Undocumented women are being torn from their families, imprisoned for indefinite periods of time, and denied basic human rights. Muslim women and women of color are being attacked and repressed by the police, CIA, and FBI, and overseas by the US military; a notable example of this being the case of Rasmea Odeh. Rasmea is a Palestinian-American activist who has worked within both the Arab-American community and the anti-war movement. Currently, she is being tried on the grounds of “immigration fraud” and faces possible deportation or incarceration. SDS understands that the attack on Rasmea Odeh is but a continuation of the US’ policy of attacking and silencing, by whatever means necessary, activists that advocate for, and build the movement in favor of, the liberation of Palestine. This political repression is also indicative of the attitude the US government has about women fighting back: put them down, put them in their place. SDS engages in the struggle to free Rasmea, nationally, and sees it as imperative to the anti-war and women’s liberation movement. SDS views International Women’s Day as not only a day for celebration, but as a day for the renewal of our dedication to the fight for the total liberation of all women and non-binary people. Therefore, it is of the utmost importance that women and non-binary people seize political power and that we, in turn, uphold women and non-binary people’s leadership within our organization and without. It is only through our combined efforts that sexism and cis-sexism can be extinguished! Uphold Women and Non-Binary Folk’s Leadership! Build a Non-Binary and Woman Powered Student Movement!